Blue skies, warm sun, a calm breeze. In a vast spinach field, the huge expanse of open land and unsupervised workers creates a dissonance for those aiming to understand Seabrook Farms’ role as an agribusiness based on captive labor. The lack of tangible restraints necessarily begs the question of how Seabrook’s business model worked to keep laborers poor, dependent, and confined. The success and profit margins of Seabrook relied upon imported laborers who, due to lack of residency and/or prior incarceration, had little to no formal employment rights and came from oftentimes disparate backgrounds. Monopolizing on these impoverished and marginalized demographics, C.F. Seabrook, the owner of Seabrook Farms, implemented wage, rent, and food policies which effectively held workers captive at the farms. The high rent rates for Seabrook housing, paired with excessively low wages, prohibited workers from accruing any kind of savings and allowed C.F. to leverage housing as a means of social control. The inadequate housing frequently lacked proper beds, plumbing and heating, leading to additional monetary expenditures and hardships for workers. Typically, only lunch was provided at the farms; laborers were often forced to pay Seabrook food prices for the remainder of their meals, as the local stores were quite far from the camps and workers were not provided transportation to off-site locations. For over 2,000 Americans and immigrants of Japanese ancestry, the federal government had forced their relocation and forfeiture of their land assets. Upon arrival at Seabrook, migrants became caught in an endless cycle of paycheck-to-paycheck work, with no alternative source of housing or income. 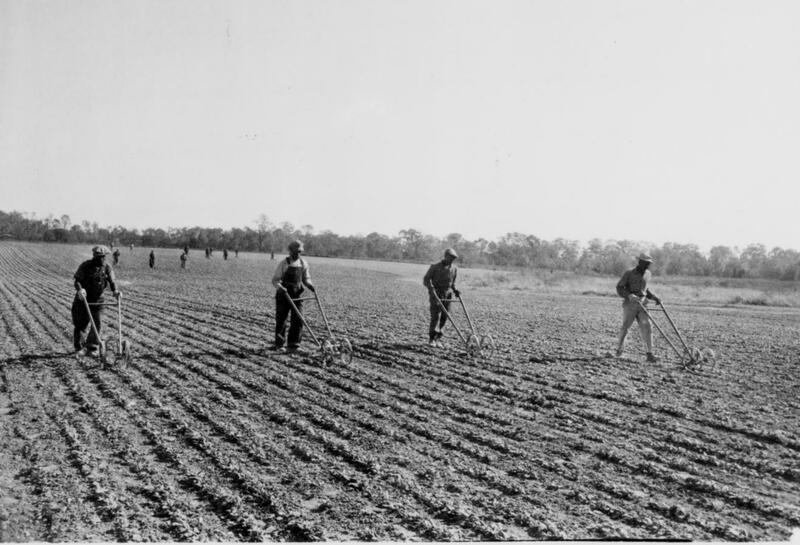 Seabrook’s dependence on captive labor holds relevance for present-day U.S. agriculture. Despite increasingly sophisticated technologies, agricultural work continues to demand a manual element that is often paired with poor working conditions, lack of autonomy, and zero economic mobility. Much as was the case in the WWII Seabrook Farms era, the lack of formal citizenship for migrant workers perpetuates an oftentimes invisible cycle of financial and physical captivity in the modern agribusiness context.